Don’t we all want what is best for our children and do we not all want them to achieve their full potential? We all know the stereotype of the Chinese ‘tiger parenting’: The strict, demanding and authoritarian parenting style that is used to push their children towards academic and overall excellence. 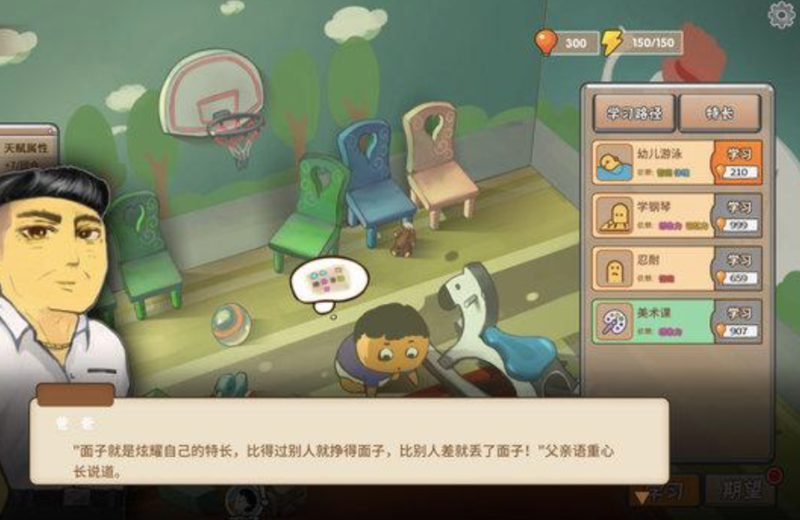 However, a new Zeitgeist drives new innovations, and also in China parents aren’t 100% sure about their parenting skills, so a new Chinese game lets you experience and practice tiger your potential tiger parenthood. Just when you thought you have seen it all..
CHINESE PARENTS is a computer game that simulates being a Chinese parent. The game starts with the child being born and from that point on, the kid is expected to succeed in life. The mission of the game is to get your kid to do well at the gaokao, the notoriously tough Chinese national entrance exam for higher education. Since its release in September 2018, the game has become extremely popular: It is currently the second-highest selling title on online gaming platform Steam. What is interesting about the game is that it does not just let you strive for academic excellence: there are also other factors that determine your success in the game – just like in real life. Besides a stat for ‘parental satisfaction’, there are also stats for ‘psychological satisfaction’ and ‘face’, which is of high importance in the Chinese Culture. The game teaches you that pushing your kid really hard to get the best school results without taking into account its psychological need could have the opposite effect: Your child could suffer from a psychotic breakdown or walk away from home. This corresponds with a study that states that ‘tiger parenting’ indeed does not necessarily lead to child prodigies. Beneath it all lies the bigger cultural concept of ‘face’. Face has to do with your reputation in society. In China, being a ‘good citizen’ is very important: A fact that is emphasized by the arrival of the Social Credit System. The hardest thing about the game is that you have to determine which stats you prioritize. You can’t do well at everything. This is one of the aspects that makes the Chinese Parents game very realistic. 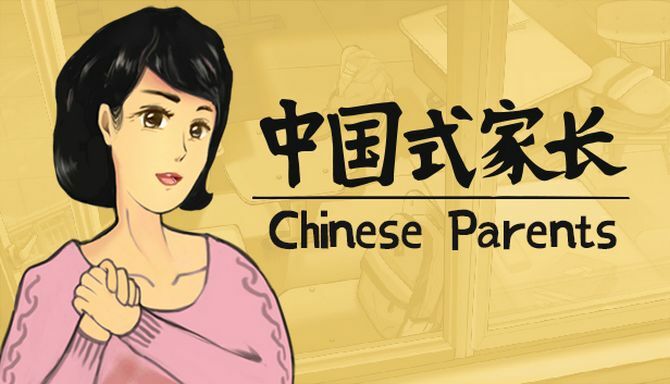 The game offers a highly realistic insight into the life of a Chinese parent. It also helps players of the game that are children of ‘tiger parents’ understand why their parents made certain choices and pushed them so hard when they were little. Chinese Parents provides empathy for both the parent and the child, as it not only show the pressure that a Chinese kid has to deal with, but also how hard it is to be a Chinese parent. It would be very easy to be judgemental about the game, but we would also have to admit that we would do this from within our own Cultural Context. The fact that, especially here in the Western World, we live in a major performance-oriented society, withholds us often to look into opportunities to try out or experience life changing choices before we really make them. You could state that with this game the Chinese took Serious Gaming to the next level. But let’s be honest, is it really a bad thing that we would want to experience impact full events before really diving into them?